Every proper handyman has a trustworthy set of tools that he always keeps by his side. Without them, he could not do the job the way he wants to. The tools give him that edge he needs to get the job done with success. Google advertisers are handymen of the world of digital marketing and we also have a set of tools that help us achieve better performance of our campaigns. An important note here, this is not one of those blog posts with a never-ending list of tools. The tools that are here are an absolute must for everyone embarking on Google Adwords journey, so make sure to use them every time. Of course, there are a lot of other, great tools out there, but we’re making a special emphasis on these because they should be the core of your campaign creation. 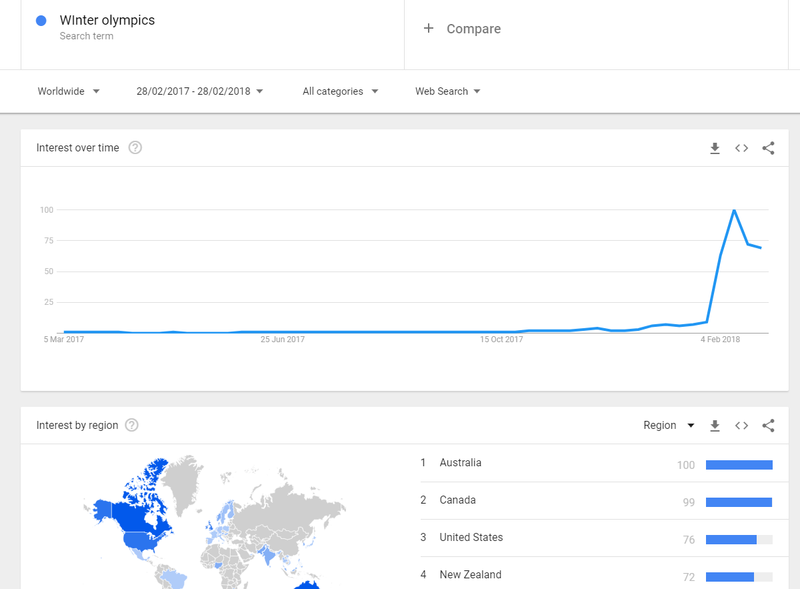 When did the people start talking about the Winter Olympics? Right before its tart of course, and here’s the proof. Google Trends gives you the ability to see the latest trends and data from Google in some period of time or in different locations. See how much popular products and services in your area of business were talked about in the last 5 years, yesterday, last month, last hour… you get the idea. Also filter data by Web, Image, Youtube search or even Google Shopping. Maybe there’s a new market for you that you didn’t even know of! This tool should be the first one you fire up when there’s a new campaign to create. It gives you an overall view of what you should take into consideration when planning and tells you whether there’s a new opportunity or even an opportunity at all. Probably the most important one if we’re talking about the core of Search campaigns. Use it to find out about the possible keyword matches you should implement into your campaign, suggested bids on them, their average number of monthly searches, and how’s the competition looking for them. In order to generate these keyword lists, you can use location and language targeting, exclude negative keywords, put down your landing page and let Google scrape some possible keywords off of it, add your product category… numerous, numerous options. Use it to find out about the search volume of your planned keywords in different locations and languages. Use it to get forecasts about clicks, impressions, cost, conversions you could generate based on keyword lists you want to use. I don’t think I need to write down the reasons why these features should be valuable to you and your planning and creation. If you’re not going to use the last two features, at least try the first one, because there is not a single advertiser in the world that 100% knows how people ‘google’. There are more and more new keywords coming every day. 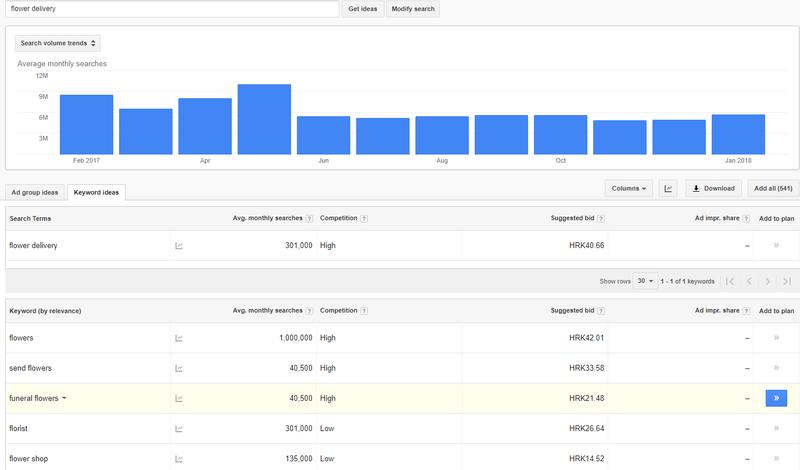 As you’re probably guessing, Display Planner is to Display, what Keyword Planner is to Search. The way it works is also very simple. Put down the keywords you want to use (or add your landing page) and Google will give you a suggestion how you should approach the creation of your campaign. These suggestions will be based on audience targeting features like Interests, Topics, Placements, Keywords. It will also tell you about the targeting situation with the genders, age and devices people use and how those groups of people are oriented towards your type of products. You can also see Google’s suggestion for individual targeting ideas in which it will tell you different options for creating ad groups, how many cookies could see your banners in a week and how many impressions could you get per week. 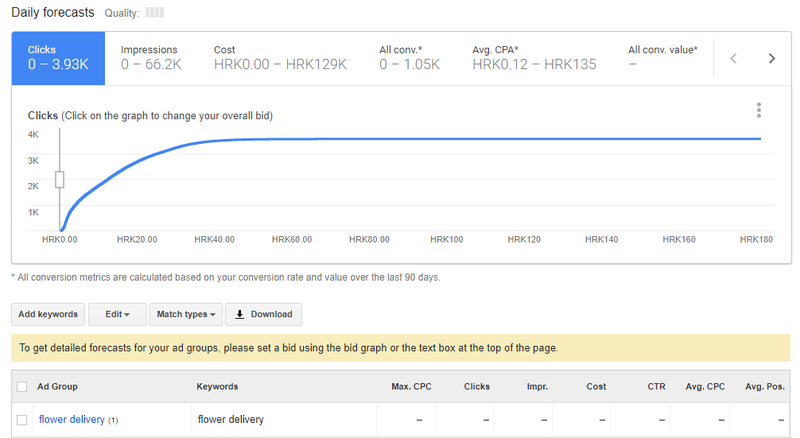 After you choose the targeting option you want, use the tool to get different forecasts for your campaign and consider the bid Google is suggesting you. You simply must not bypass this tool next time. If you haven’t noticed before, in your Google Analytics Acquisition report there is a report called ‘Adwords’. Just look at all the beautiful data Analytics is providing you with here. Analytics will always have more available data than Adwords, so here you can see how people from different campaigns, ad groups, with different search terms, keywords matches, an hour of the day…. are behaving on your site. Are they proving to be interested in your business? How do their Bounce rate or Pages per Session numbers look like? Which users are proving to be more valuable, desktop, mobile or tablet users? Every data that you are taking as significant to your marketing strategy, is available here. So, use Google Analytics for optimizing your current campaigns and planning your future campaigns. In order to do that, first, you need to link your Google Adwords and Analytics accounts. Remember when we’ve talked about A/B testing? How changing text ads from time to time continuously pushes your campaign forward and also makes you not-boring? A/B testing is a crucial part of every advertising strategy and you absolutely must do it. Don’t be lazy. Change your ads from time to time. If it’s that hard, change them every month. What about the tool? Well, I’m guessing that if you now go and see your ads, you can immediately which one is better. The one with higher CTR? True, but not completely. This tool uses those CTR’s, but puts the ads on the same level, impressions wise. One ad can be better with 90% confidence, but the tool will not tell you to use it over another until it’s decided with over 95% percent confidence. Instead, it will tell you to keep testing. Sometimes that can turn out to be quite great. And that is why you’re going to use it. 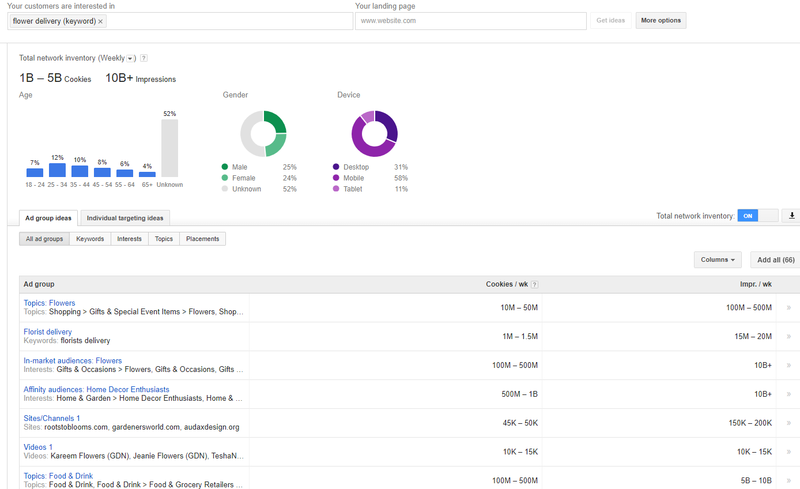 Just like I said, use these tools next time you’re planning your Adwords campaign. Don’t just quickly put down some keywords or target ‘some people’ because that is a lottery that is not going to pay off. The tools are here to help and for a good reason.